Tea Tree Oil for Cold Sores – How to Use It for FAST & SAFE Results! How Quickly Does It Dry Up Cold Sores? How Effective is Tea Tree Oil for Cold Sores? Where Can It Be Applied Safely? Will It Stop Fever Blisters from Forming? Is Tea Tree Oil and Lysine Combo More Effective? Do Any OTC Treatments Contain Tea Tree Oil? Do Any Other Essential Oils Work? Does Melaleuca Alternifolia Have Any Side Effects? Can Tea Tree Oil Make Cold Sores Worse? Putting tea tree oil on a cold sore blister promotes fast recovery from the herpes simplex virus. It’s a natural remedy that inhibits viral spreading, so it shortens the healing time. Essential oils also clear up a variety of uncomfortable skin conditions. Tea tree oil naturally accelerates the recovery process and eases the pain. It stops the virus from multiplying, prevents infection, and heals the blister faster. That’s why it’s such a vital ingredient in so many over-the-counter cold sore medicines. One of the best all-natural forms of tea tree that you can apply to cold sores is Apothecary tea tree oil. It’s shipped from Australia and is the purest form available. Dab some diluted tea tree oil to your cold sores. The sooner you start treatment, the less time you’ll need to endure crusty and painful sores. It can shorten the recovery time by several days. We’ll now take a look at how to use tea tree oil to treat cold sores – there is a right and wrong way to do it! You’ll also receive advice on how to reduce the risk of side effects, and how to achieve quick results. Tea tree oil is derived from the Melaleuca Alternifolia plant in Australia, which is known for its natural healing properties. Dating back centuries, tea tree oil has been used to treat almost every medical ailment known to man. The treating (and potential curing) of various infections. Used topically, tea tree oil heals skin conditions. These include acne, toenail fungus, lice, skin tags, athlete’s foot, dandruff, and ringworm. It can be used as a natural antiseptic for the treatment of minor cuts and abrasions. These include burns, insect bites, insect stings, and various skin infections. Tea tree oil can also be added to bath water. This practice was introduced for treating chest congestion associated with the common cold or flu. It’s used as a household cleaner due to its antimicrobial properties. Before looking at the skin benefits of tea tree oil, we need to understand more about the variants of this oil: diluted and undiluted. While undiluted is 100% oil, diluted oil ranges anywhere from 5% to 50%. These can be found in products that are designed for topical application. It has a host of beneficial compounds that kill various types of bacteria. A compound known as terpinen-4-ol can boost your number of white blood cells. This is critical as a white cell increase enables the body to fight off germs and bacteria with superior efficiency. Tea tree oil (diluted) can soothe the skin from irritation, which is almost as crucial as accelerating the healing process. Tea tree oil can also sanitize minor skin wounds and serve as an anti-inflammatory agent. Tea tree oil comes in diluted and undiluted form. Diluted oil is recommended if your goal is to use it as a topical ointment to treat skin ailments. This is due to the sensitivity of the skin in the areas where cold sores appear, such as the lips and corners of the mouth. The compound (terpinen-4-ol) can bolster your production of white blood cells. This is ground zero regarding keeping germs and bacteria at bay. It is not only a treatment but also an excellent preventative measure. It sanitizes the site while also reducing the swelling from cold sores. This natural remedy soothes the skin and prevents irritation. Tea tree oil can dry up cold sores several days faster and keep the area sterile. Due to the oil’s antiviral, antiseptic, and anti-inflammatory properties, this natural remedy helps to fight back against the herpes simplex virus. Although the “drying up” of a cold sore is not always recommended because it carries risks, this can yield positive results. Because tea tree oil can sanitize the problem area, the issue of viral spreading is not as troublesome for the sufferer. Dried skin and scabs are more likely to develop cracks than if the area is kept moist. If a scab falls off early, the healing process will need to begin all over again. You need to take steps to keep the area moist. Safer healing is less likely to result in any scarring or red marks. Tea tree oil can dry up an active cold sore quickly. Thanks to the potency of the oil, even when diluted, the active ingredients can remove the moisture from the blister. Although OTC selections keep the sore moist while healing the area, essential oils dry out the cold sore entirely. While this practice is not always wise, it can be productive if post-treatment moisturizing methods are utilized, such as a medicated lip balm. Many essential oils are highly beneficial, and this oil is by far the most popular choice. In fact, you would be hard-pressed to find any medical subject concerning natural treatments that did not include tea tree oil. While results vary from person to person, having the oil in your home is a smart move. On average, a cold sore that receives no treatment will heal naturally in under two weeks. The addition of tea tree oil will likely reduce that time. It is one of the most popular essential oils. While only anecdotal evidence exists, the use of this essential oil appears to be beneficial. While a product such as HERP-B-Gone cream (which utilizes tea tree oil as one of its ingredients!) can potentially heal your sores within 72 hours, essential oils are effective on their own. Antiseptic, antiviral, and anti-inflammatory properties make it a worthy foe against cold sores. Essential oils can be applied safely to almost any area of the body. Obviously, locations such as the eyes and inside the mouth should be avoided, but any “skin covered” area is usually fine. Avoid open cuts and wounds. This is why the tingle stage is the best time to treat a cold sore with tea tree oil. Carefully inspect your blister area before you begin the treatment process. If a blister has any cuts or abrasions, your course of action will likely need to change. Applying tea tree oil to a sore that is open and infected can result in intense pain, but it will kill off any germs and bacteria. Tea tree oil can be applied to almost any area of the body so long as the skin is closed and free of open wounds. The best time to safely apply tea tree oil to a cold sore is during the tingle stage (the prodrome). This stage is the first warning of an HSV-1 outbreak as it alerts you to the problem before a visible blister forms. Applying tea tree oil to fever blisters is quite simple, and the overall process can be achieved in moments. Mix 2-3 drops of tea tree oil with 2-3 drops of water. Don’t dilute the entire bottle. Use a cotton swab to apply it to your fever blisters. Throw away the swab after each application to avoid re-infection/spreading HSV-1. Never dab it on with your hands as it is a virus that can infect the fingers (herpetic whitlow). Gently remove any crusting that has occurred during the ulceration phase. This will allow the tea tree oil to get to work more efficiently. Try to avoid getting any of the substance onto your healthy skin as it can be very drying. Repeat the process in the morning, late afternoon, and before you go to bed for best results. Wash your hands after treatment, and don’t share towels with other people. The likelihood of preventing an outbreak of the herpes simplex virus is moderate. If you are already experiencing the symptoms, the probability of stopping the life cycle of a cold sore is extremely low. Tea tree oil will help to speed up the life cycle and help you to heal much faster. There is no foolproof way of preventing cold sores from forming. This is why even the big OTC brands never talk up prevention and instead focus on quicker healing. The odds of tea tree oil effectively “putting out the fire” once cold sore symptoms occur is small. Tea tree oil can dry out an existing cold sore and speed up the life cycle of a blister. While the oil does have the potential to protect you from an outbreak, it will not be able to stop the blistering and pain once the symptoms arise. It all comes down to personal choice. While Abreva is an FDA approved OTC treatment that can heal your fever blisters in as little as 72 hours, some people don’t want to use medicines in case they’re harmful. Tea tree oil is a highly respected natural remedy that is used to treat many skin ailments. That is just anecdotal proof, but it’s likely to be significant. How do you feel about modern medicine? Do you trust it? The answer to that question will likely lead you in the best direction for your needs. We recommend Abreva as your primary treatment, but having tea tree oil available in your home is also beneficial. Being that essential oils can be used for a variety of skin issues, it’s useful to have access to this natural treatment at home. In the “versus” battle between Abreva and tea tree oil, the choice is yours. 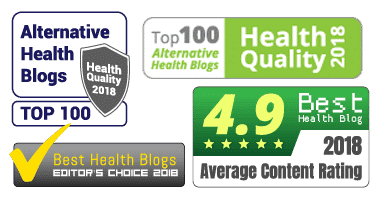 While all the signs (and our recommendation) points to Abreva, we encourage you to perform your testing to find out what works best for you. While tea tree oil does not possess the FDA seal of approval, it is a top alternative treatment for people who want to treat cold sores naturally. 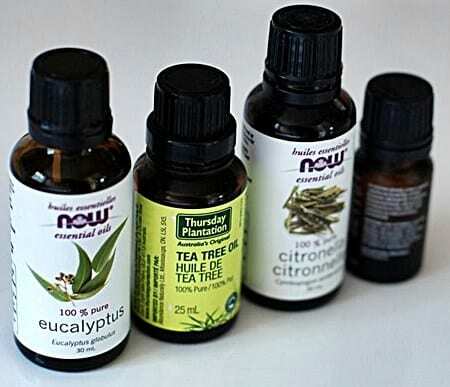 Like many essential oils, tea tree oil can be used for a variety of things. This could be a good backup plan if Abreva is not available to you during your time of need. Lysine is a building block protein that the body doesn’t produce naturally. Unfortunately, many of us don’t get enough Lysine through our diets, especially vegans. Found in a variety of foods – such as pork, chicken, shrimp, nuts, beans, and lentils – lysine can also be consumed as a daily supplement. Important: Consuming a daily dosage of 1000mg of Lysine is recommended. Taking lysine over a 6 or 12-month period (daily) can serve as a preventative measure against recurrent cold sores. The combination of tea tree oil and lysine is beneficial for some people but not others. Medical testing suggests that Lysine has the potential to reduce the number of recurrent outbreaks which is good if you regularly get two or three cold sores in a row. Will applying a Lysine cream heal your sores faster? According to the University of Maryland, the answer is that it’s unlikely. There is little evidence to suggest that Lysine will heal an active cold sore any quicker. You should include Lysine in your diet, but not for faster healing, but for cold sore prevention and your overall health and well-being. The primary advantage of using an Over-the-counter (OTC) product is that you’re guaranteed to receive the optimal dosage every time. You’ll also benefit from the inclusion of other tried-and-tested ingredients that work in conjunction with tea tree oil for faster healing. HERP-B-GONE, for example, is a doctor-developed treatment. If tea tree isn’t beneficial, it wouldn’t have been used as a key ingredient. Many essential oils are used to treat fever blisters. While tea tree oil receives most of the media and online coverage, essential oils across the board are often associated with the natural treatment of cold sores. Dabbing the oil (mixed with a carrier) directly on the sore is the most common practice. This can be achieved by using a sterile cotton swab. Just a couple of drops is all that it takes to enjoy the benefits. Listed below are some sources of cold sore relief. 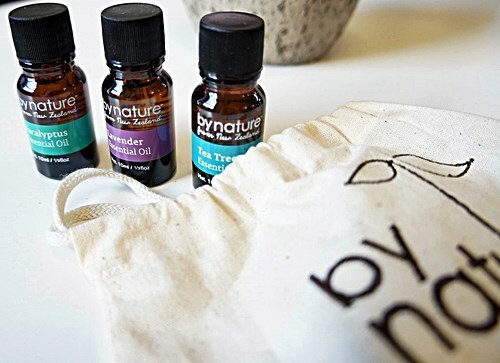 Essential oils can be found in most any health food market and traditional grocery store. Because the use of natural healing oils is more popular than ever, the days of shopping difficulty (either online or in person) are all but over. It should also be noted that you can mix and match oils to find the perfect remedy for your skin. While the use of a carrier oil is always wise, you can use a mixture of oils to increase the healing properties. While considered safe, tea tree oil (Melaleuca Alternifolia) can cause specific issues if used or misapplied. Applying too much to the skin or ingesting it can have some severe consequences. Tea tree oil is not intended for oral consumption – it is toxic and will make you very ill. When mixed with lavender oil, it can sometimes cause hormonal issues in preteen boys. If ingested, symptoms such as confusion and an inability to balance, are a possibility. There are no medical studies on record that have concluded that tea tree oil is not safe for women who are expecting. Unfortunately, that’s because there haven’t been any medical tests performed! There’s no reason to be alarmed because that’s the case with most natural remedies. While ingestion (drinking tea tree oil) can introduce many negative issues, this is something that can easily be avoided. You should also avoid applying it to the sores that are inside of the mouth. There are other treatments for canker sores and mouth ulcers that are fit for purpose. If you apply the oil as a topical remedy, this natural alternative is likely to be safe. Without medical trials, it’s impossible to provide any guarantees. Some schools of thought suggest that it can get into the bloodstream. This essential oil will only make a cold sore worse if it’s misused. For example, if you apply tea tree oil to an open and infected sore, it may worsen. Some people don’t respond well when the formula is used directly. You should dilute it with a carrier oil or a few drops of water. Check how your body responds to tea tree oil via a patch test. Just because the ingredients are natural doesn’t guarantee that it’s right for your skin type. Apply a small amount to a delicate area of skin (non-visible area) to make sure that you don’t experience a type of allergic reaction. It’s unlikely that your skin will react this way, but it’s always worth performing some level of due diligence to make sure that you’ll be okay. It’s definitely worth using Apothecary tea tree oil for cold sores. It’s an ingredient that’s used in many over-the-counter products. You should commence treatment as soon as you recognize the symptoms of an outbreak. The quicker that you take action, the less likely that your cold sores will spread. You’ll also recover faster. What’s the Link between the Immune System and Cold Sores? Are Cold Sores a Sexually Transmitted Disease (STD)? Can You Get Facial (Trigeminal) Nerve Pain After a Cold Sore?